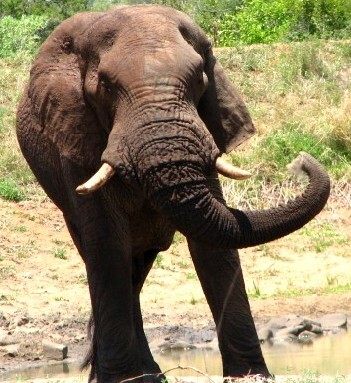 Johannesburg to Nelspruit flight bookings qualify to earn exclusive SouthAfrica.TO travel vouchers. Simply email a writeup of your flight to cheapflights@southafrica.to & we'll send you some travel vouchers (higher quality writeups with photos earn more). Help with Flight Quote - we are itching to assist! Those looking for Kruger Park flights from Johannesburg are spoilt for choice - you can fly to Phalaborwa, Nelspruit, Skukuza or Hoedspruit. All of Airlink, SA Express and Fly 88 offer flights from Johannesburg to Nelspruit Kruger Mpumalanga International Airport. To get on a cheap flight try to be flexible with your travel dates, times and whether you fly from OR Tambo International Airport or Lanseria International Airport. Alternatively, it is only 350km from Johannesburg to Nelspruit along the N12 and N4 past Witbank and Middelburg, or a 3.5 hour drive. 27 Jan 2015 SA AIrlink will be incre asing the frequency of their flights from the beginning of February. Flights from Nelspruit will depart at 06h55 arriving in Johannesburg at 07h50, Monday to Friday. The first flight on Saturdays will depart Nelspruit at 08h30 and arrive in Johannesburg at 09h25. Evening flights will depart Johannesburg at 18h05 and arriving in Nelspruit at 18h55, Monday to Friday. 29 Aug 2014 One of SA Express’ planes, a Canadair CRJ-200 flying from Johannesburg to Nelspruit was sent back to Johannesburg only 10 minutes into the flight after the aircraft’s flaps were not working correctly. Ground crew worked on the aircraft for about an hour before the aircraft took off for Nelspruit for the second time. The plane however did not make it to Nelspruit as it was once again turned around after the crew reported that the flaps were still faulty. The plane landed safely back at OR Tambo and passengers were rebooked on a later flight. 19 Feb 2014 Fly 88 announce that they are launching flights from Lanseria to Nelspruit. There is a flight on Fridays and another on Sundays in their Beech 1900D 19-seater turboprop planes. 10 Dec 2012 Fly Go-Air, operated by Cemair, flies its first and only flight from Lanseria to the Kruger Mpumalanga International Airport. The initial airfare was R999 for a 1-way ticket. 4 May 2010 British Airways begins operating 6 weekly flights from Johannesburg to Nelspruit (Kruger), leaving Johannesburg at 10:40am and returning at 12pm. "We are very excited that our partnership with the Mpumalanga Tourism and Parks Agency has resulted in this opportunity to bring more international and local travellers to the region. Comair’s increased capacity will allow travellers easy access to Mpumalanga whilst at the same time raising the profile of the province that has so many beautiful experiences to offer", said Stuart Cochrane, Comair’s Executive Manager for Sales and Route Development. Charles Ndabeni, CEO of the Mpumalanga Tourism and Parks Agency, said that "This partnership will deliver much needed competition and additional capacity on the route between Mpumalanga and Gauteng and both business and leisure travellers are expected to benefit from the new scheduled service." Navigate to our charter flight in South Africa, page and contact one of the airlines there directly (or email your details to cheapflights@southafrica.to). Please be aware that charter flights are significantly more expensive than regular scheduled flights. 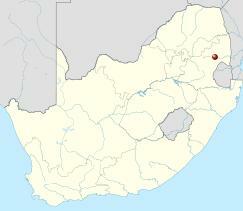 The driving distance between Johannesburg and Nelspruit is some 354km (from First Car Rental at O.R. Tambo to First Car Rental at Kruger Mpumalanga International Airport) along the N12 and N4. Along the way you pass Benoni, Daveyton, Emalahleni, Middelburg, Belfast and Emgwenya.